Facebook has added two new features to Messenger on iOS and Android that allow users to poll their friends within a group chat, and easily remind friends to pay back money that is owed. The new polling feature is available in group chats by clicking the poll button in the toolbar. Creating a poll could make it a lot easier to decide where to go for dinner, as seen in Facebook's example, or it could be used to simply gather the opinions of a group. Understandably, you won't be able to create a poll in a two-person chat. 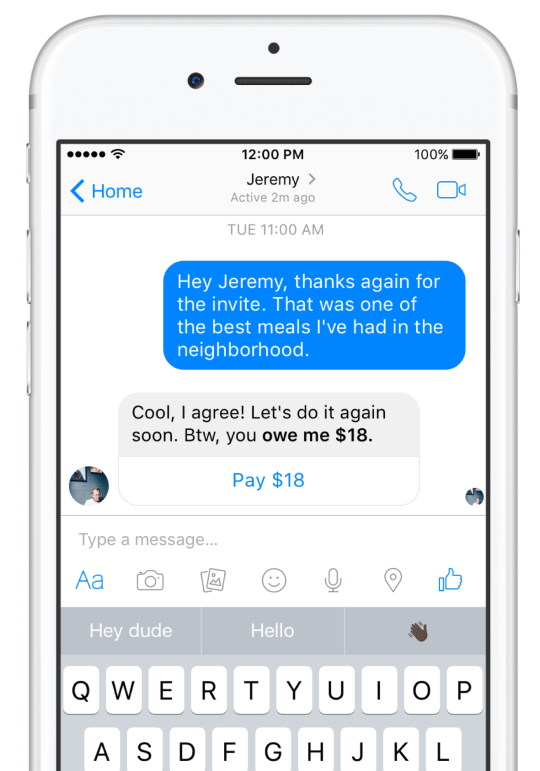 Messenger also now includes payment suggestions that harness the app's existing friend-to-friend payment system. Whenever you send certain phrases to your mates in Messenger, such as "you owe me $10" or "IOU", an action button will appear below the message that instigates an easy payment when clicked. Completing the payment requires you to enter your debit card details, or alternatively you can use a stored card from a previous payment. 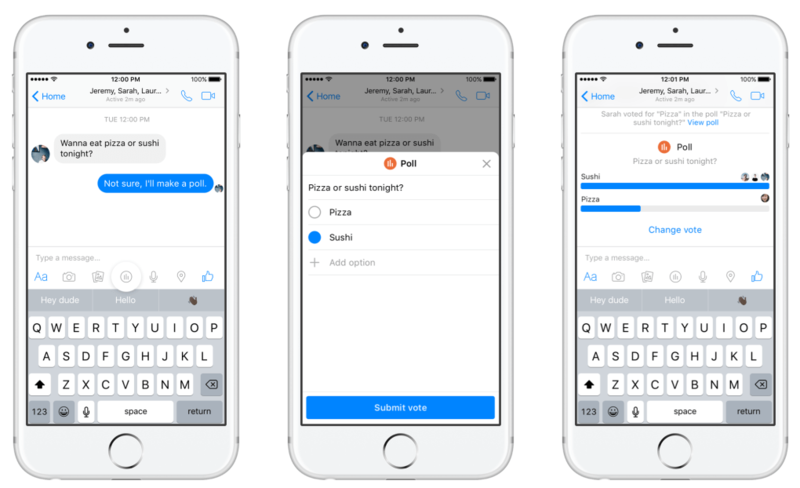 For now, both the polls and payment suggestion features are only available to Messenger users in the United States. It also appears as though the functionality is only available within Messenger apps on Android and iOS, thanks to new app updates. Facebook could decide to roll out the features to other countries if the response within the States is positive. Sending money via Facebook will always make about as much sense to me as sending money via SnapChat I.e. no sense whatsoever. deleting movieland.com " adds for payment"